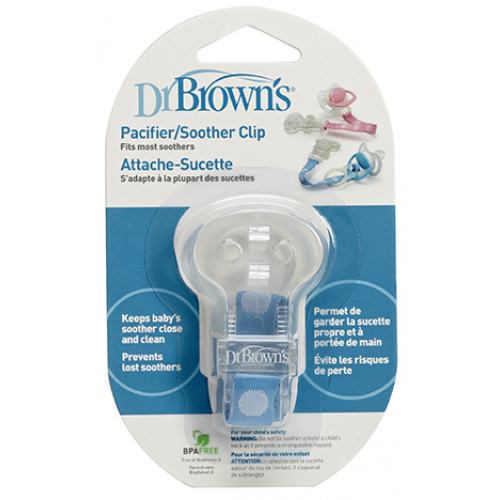 The Dr Brown's Pacifier Clip keeps baby's pacifier close to prevent loss and to keep it clean. 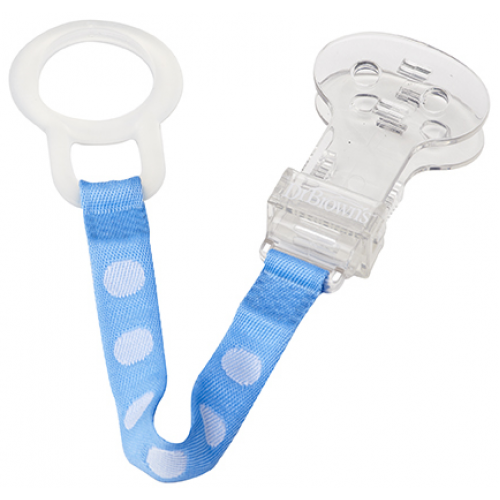 Fits most pacifiers and soothers, including both knob and handle styles. BPA free.